Storybook 3.0 Released: An IDE for React Components — Storybook is an interactive development and testing environment for React components. What you need to know about Storybook 3.0 tells the full story of the release. What WebAssembly Means for React — Lin Clark looks at what WebAssembly could mean for React’s performance, and how the new Fiber architecture plays into that. 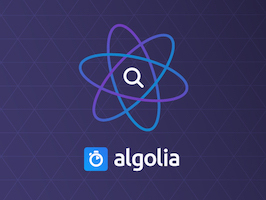 React InstantSearch ⚡️ Lightning Fast Search for Web and Native — You ❤️ React, We 😻 Search. Combine both with lightning fast search you can integrate in minutes. React InstantSearch gives you the components to build a great search experience. Getting a Better React-ion with Progressive Web Apps — A step-by-step tutorial on how to add Progressive Web App features to your React apps. 'Serverless' Server-Side Rendering with React using Redux or MobX — Essentially using a third party service (roast.io) to render pages. Using React with ClojureScript — A 30 minute talk. Audio is OK but not fantastic. How to Structure Your React Project — Dave Ceddia explains how he structures his React projects. Animate Components: Elemental Components for Animations — Component based animation with a minimal API. The aim is ease of use. react-fake-props: Simplify React Tests by Automatically Generating Fake Props — It automatically generates valid fake props, making React Component testing easier and less verbose. It supports Flow and PropTypes. react-x11: React Renderer That Targets X11 — An intriguing idea that lets you build simple GUI apps for X Window environments. ForwardJS Tickets on sale today — Attend full-day hands-on React workshops and dozens of talks at ForwardJS San Francisco this July.